One of the most important things you can do for your pool or hot tub is to test your water. Regular water testing allows you to see how your “water balance” changes over time. Water balance is the relationship between different chemical measurements in your pool or hot tub water. It is based around the fact that water dissolves and holds minerals until it becomes saturated and cannot hold any more. We will refer to this as the water’s “saturation point”. Water that is below the saturation point is corrosive. It tries to saturate itself by dissolving everything it comes in contact with. Water that is above the saturation point is scale forming. It can’t hold all of the minerals that are dissolved in it. These excess minerals group together and form scale on any surfaces within the water. Water that is well balanced is neither corrosive nor scale forming. This is the water that you want in your pool or hot tub! What Causes Water Balance To Change? 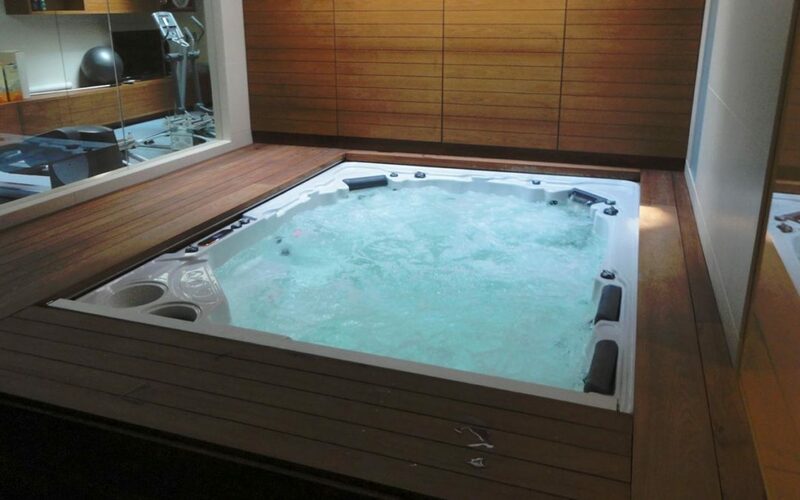 Simply put, almost everything that goes into a hot tub or pool affects its balance. Weather, chemicals, bathers, fill water and even dirt brought in by the wind can affect water balance. Each of these elements have their own pH and alkalinity levels. These levels then interact with, and change, the pH and alkalinity of the pool or hot tub water. For example, rain water is typically acidic, causing pool water to become corrosive. For this reason, pool owners should pay special attention to their pH and alkalinity after big rain storms. Proper water balance increases the lifespan of your pool or hot tub’s equipment. Properly balanced water is more comfortable for you to swim in. Water with a proper amount of chlorine is safe to swim in. Testing the water of your pool or hot tub and buying chemicals to balance the water will save you money in the long run. 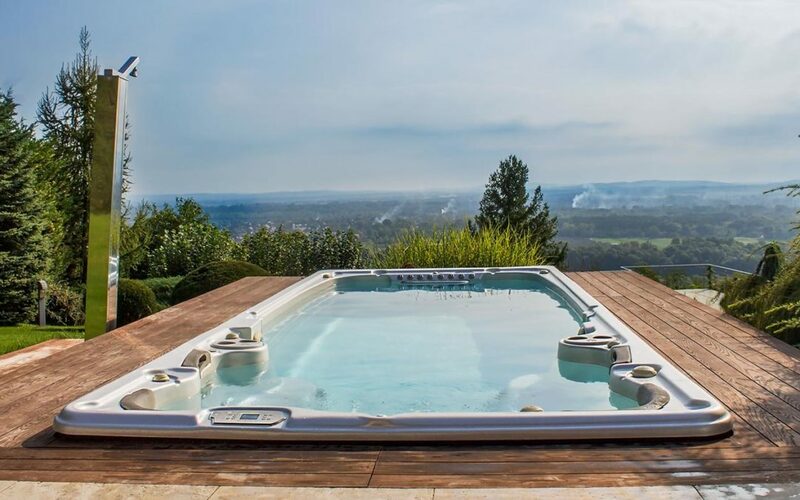 Hot tubs and pools are a large investment. You want to protect that investment and make sure that it lasts for as long as possible. 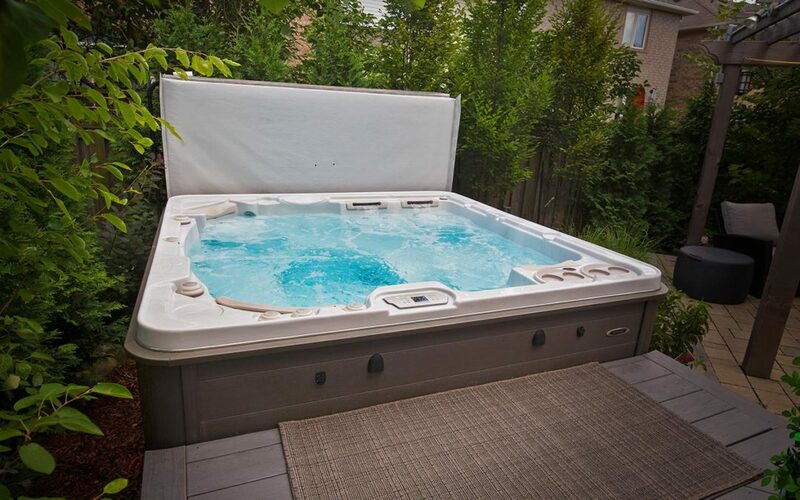 Maintaining proper water balance is by far the best way to ensure a long life for your hot tub or pool. 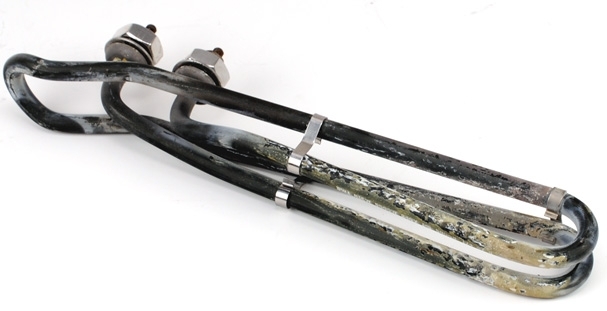 Corrosive water rusts any metal components within it, notably pumps and heaters. It also causes plastics to become brittle, degrades rubber o-rings and can even cause pits to form in the finish of concrete pools! Scale forming water will deposit scale on any exposed surfaces. This can be especially harmful if your pool or hot tub has a heater or salt system. Even scale the thickness of a single piece of paper can reduce the efficiency of your heater or salt system by 50%! This causes them to work harder than they need to and greatly reduces their lifespan. Even small amounts of scale can seriously reduce the efficiency of heater elements, significantly reducing their lifespan. Ever come out of a pool with red, irritated eyes? How about itchy skin? These are both due to poor water balance. The human eye has a pH of 7.5. For your eyes to be comfortable, your pool water needs to be as close to a pH 7.5 as possible. Maintaining your pool at the recommended pH level of 7.4-7.6 will therefore greatly reduce eye irritation. If you get out of a hot tub or pool with itchy skin, chances are you have too much chlorine or bromine in the water. Test your water and add a chlorine/bromine neutralizer to bring down the sanitizer level to the recommended level (1-3ppm of chlorine or 3-5 ppm of bromine). Simply put, water without enough sanitizer isn’t safe to use. Regular testing of your hot tub or pool helps prevent you or your family from developing rashes or other waterborne infections. Lastly, regular water testing saves you money! While it can sometimes seem like a waste of money to keep adding balancing chemicals to your pool or hot tub, these costs are greatly outweighed by the costs associated with unbalanced water. What are these costs? Reduced equipment life. The cost of prematurely replacing equipment, especially things like pumps, heaters and salt systems, greatly outweighs the cost of maintaining proper water balance. Treating problem water. Just like cars, the cost of properly maintaining your hot tub or pool water is a fraction of the cost of fixing a problem like green water. Fixing green water can cost hundreds of dollars and take weeks away from the short Ottawa swim season. We strongly recommend testing your pool or hot tub water at home at least 2-3 times per week. Pay close attention to your pH and chlorine/bromine levels and adjust as necessary. Test your water 2-3 times per week, paying close attention to the chlorine and pH levels. If something seems off, consider getting your water professionally tested. How Often Should I Get My Water Professionally Tested? If everything looks good on your home tests, we recommend getting your hot tub or pool water professionally tested at least once per month. Professional water tests are more accurate and thorough than home tests and can give you a much more complete picture of the overall health of your pool or hot tub water. If you encounter problems such as consistently low pH, cloudy water or green water, get your water professionally tested as soon as possible. These problems will only get worse with time and are much easier to fix if dealt with quickly. Test the water while it is circulating. There can be slight differences in the balance of still water. Circulating the water evens out these differences and gives you a better idea of the overall balance of the water. Take your sample from water that is 12”-18” below the surface (about elbow deep). Water at the surface interacts with air, changing its balance. Check the expiry date on your reagents. Reagents generally have a shelf life of around 1 year. The older a reagent gets, the less it will change colour. Expired reagents will therefore always display low level readings. What about the guy that only puts liquid chlorine in his pool and never tests his water? How come his pool always looks so nice and clear? 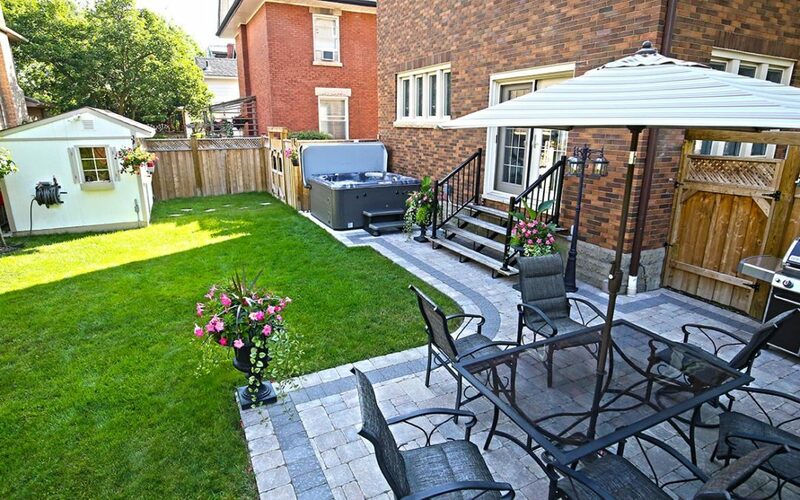 While everything can look good on the surface, these pools often have many problems. Clear water doesn’t always mean healthy water. In fact, clear water can be an indication of very corrosive water! Without testing the water, their pool’s chlorine level can also get out of control. You will typically notice that pools treated with only liquid chlorine will have bleached out, faded liners caused by excessive chlorine levels. Poor water balance and high chlorine levels mean that these pools are typically very harsh on the eyes and skin. They can also turn blond hair green as the corrosive water breaks down copper heaters elements and other metal components. This usually means that these guys are the first to replace their heaters and pumps. 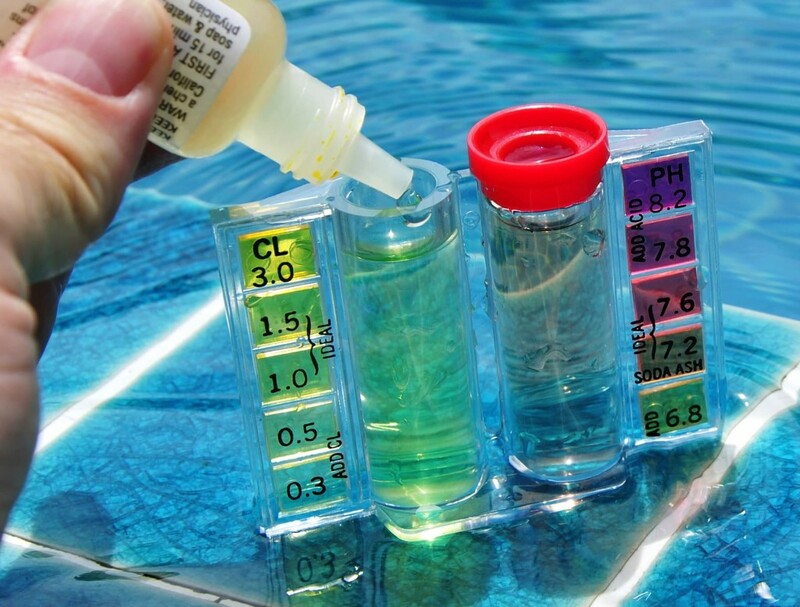 Regular water testing is essential to maintaining proper water balance in your pool or hot tub. Properly balanced water is both safe and comfortable to use. It also helps protect your pool or hot tub’s equipment from premature wear and tear, saving you money!